Russia deployed Tupolev Tu-22M3 supersonic long-range strategic bombers to the Hamadan airfield in Iran to cut flight times, increase bomb capacity and improve response capabilities of its aircraft taking part in the operation to liberate Aleppo since the outcome of this battle could well determine the future of Syria. The Tu-22M3 deployment “does not merely help to save time and fuel,” Svobodnaya Pressa reported. “Missions launched from the Hamadan airfield allow Russian aircraft to significantly increase bomb capacity of each plane.” They are estimated to be capable of carrying three times greater payload. In this photo taken on Monday, Aug. 15, 2016, a Russian Tu-22M3 bomber stands on the tarmac while another plane lands at an air base near Hamedan, Iran. “The Russian Armed Forces have never carried out such a major and well-coordinated operation in terms of timing, multiple fronts and targets,” the media outlet observed. Nesmiyan emphasized that Russian planes have long been active in the region, but they could not respond fast to militant offensives.The analyst mentioned several challenges that the Russian-led counterterrorism coalition has faced. For instance, cooperation between Russian, Syrian and Iranian troops has not been fully established. 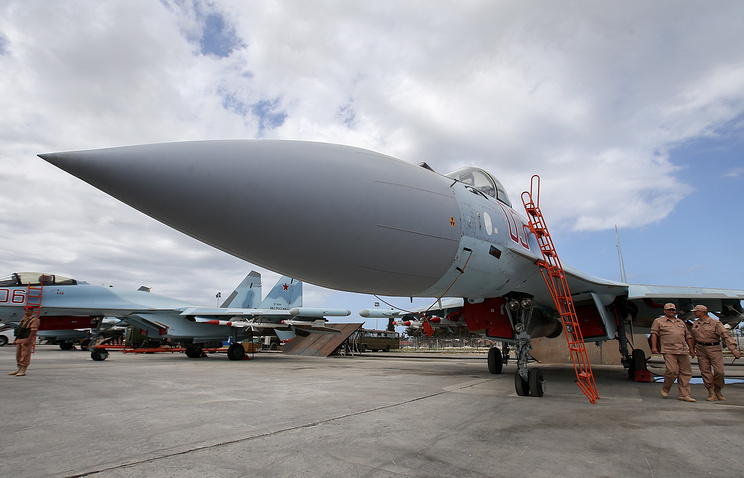 “In addition, there are not enough planes at Hmeymim to strike all targets,” he added. Svobodnaya Pressa also pointed out that the Tu-22M3 deployment was part of a larger change in the strategic landscape with regard to the Syrian battlefield.On August 12, the Zelenyy Dol and Serpukhov corvettes carrying eight Kalibr-NK cruise missiles left Sevastopol heading for Syrian shores. Meanwhile, a surface action group, comprising the Tatarstan and Dagestan frigates, as well as the Grad Sviyazhsk and Velikiy Ustyug corvettes, was deployed to the Caspian Sea. These ships were carrying a total of 24 Kalibr-NK cruise missiles.